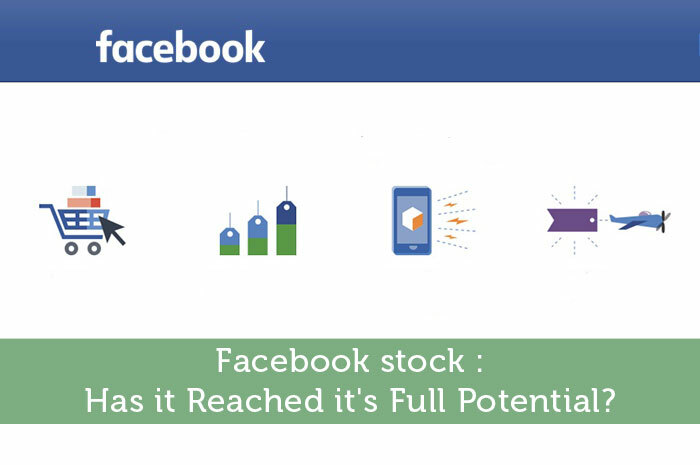 Facebook’s (Symbol: FB, www.facebook.com) stock price has continued to beat all estimates and hence investors have reason to worry whether the growth has plateaued. It could climb as high as $130/- thanks to its higher valuation brought on by its user growth, premium profitability, healthy cash flow and impressive acquisitions portfolio. User retention and engagement is a crucial metric for Facebook’s growth prediction. Facebook reported a 13% increase in its monthly active users and ultimately its future growth will rely on increased user time and marketing activities. Hence, it continues to improve user experience on Instagram, Facebook Messenger and WhatsApp Messenger with the younger population. Mark Zuckerberg’s recent announcement to increase users in India and Africa along with its acquisition spree indicates that Facebook has room for further growth. Facebook has far more users in Europe and Asia than the U.S. Its market share in the rest of the world is 33% larger than the U.S. In June, it launched Facebook Lite in emerging markets in Asia, Africa, and Latin America to expand the user base. Hence, it is far from reaching its saturation point. Instagram’s total users stood at 40 million when Facebook bought it in 2012 for $1 billion. In 2015, it’s rose to 400 million. Bank of America Merrill Lynch reckons that Instagram could earn $300 million in revenues in 2016 and $3.8 billion by 2020. It presents a lucrative revenue opportunity for increasing ad revenues. Facebook derives 90 to 95% of its revenues from advertisements. In 2015, Facebook saw a 43% increase in its advertising business from its 2 million active advertisers compared to the same quarter last year. Here’s an interesting take on its ad revenue. In the second quarter of 2015 Facebook’s average revenue per user increased by 23% but its ad purchases declined by 55% because the cost of advertising rose by 219% indicating that some ad users who continue to pay higher rates are getting phenomenal results but most are not. Hence, it needs to diversify its current revenue stream. On the other hand, Google brings in $80 of revenue per user while Facebook only $13/- which points out to its 6x revenue potential. Its price-to-sales ratio is 12 and price-to-earnings ratio is 38. And the relationship between the two is 31.5% that is the 2015 consensus net profit margin. Due to the mobile-focused approach of Facebook, it has seen an increase of 78% of total revenue in Q3 2015 and generated a free cash flow of $1.41 billion that is an indication of strong financial health. Although Facebook tumbled after its 2012 IPO analysts say there is as much as 45% upside potential. The purchase of Oculus for $2 billion would need to translate to $63 billion in market capitalization to push Facebook stock up by 45% from $90 a share. More striking is the fact the existing shareholders saw their ownership diluted with new stock issues that were used to purchase Oculus. Although Facebook has invested heavily in virtual reality technology if it takes much longer than investors expect then that would create pressure to sell. The stock fell 5.4% due to the rise in expenses that rose to 82%. The expense upsurge was mainly because of its initiatives in solar-powered drones, virtual reality, new data centers, acquisition of WhatsApp, building out Internet.org and new hires. Mark Zuckerberg justifies this spending by saying that it moves the company closer to its mission – to connect the world. Facebook has made some serious mistakes in the past such as the “Beacon” project in 2007, the “everyone” policy in 2009, and the “shadow contact” in 2013. It also failed in its effort to boost revenue through online payments system. But its purchases of Instagram and WhatsApp make sense because otherwise it would have drawn users away from Facebook. Social media is a relatively unregulated market. American businesses have a tendency to become regulated over time. So it seems likely that the Feds will have its fingerprints on social media companies. In addition, Facebook cannot continue to spend billions in the tech sector, no matter how lucrative they may sound, and expect unlimited growth. It reached potential for 2015 but in …years to come it will have raise. What is important, this is era of communication with your family and friends over Facebook, billions across world still don’t use it, that is potential, My grandma asked me for some skin creme which she saw on Facebook when she watched my pics, that is power of Facebook. With a 106 PE I guess the stock got ahead of itself. FB is big but it shouldn’t be a 300B company! They’re the next Myspace or Yahoo…. Once the market turns, this stock will be crushed. I think it definitely still has some room to grow, but only time will tell. It could also fizzle out like MySpace did and we’d never see it coming.